Dr.Tasmaishree, is dedicated to crafting beautiful smiles and enriching the lives of her patients. She is proficient in all aspects of general dentistry. She is always attending continuing education courses to keep up-to-date with the latest dental trends. She is committed to providing the very best professional and personalised service to ensure a complete understanding of patients requirements. She enjoys the artistry of dentistry, offering smile enhancement to patients through preventive and restorative dentistry and even dentures. She gives her best treatment to children, adults and gives family dental care. 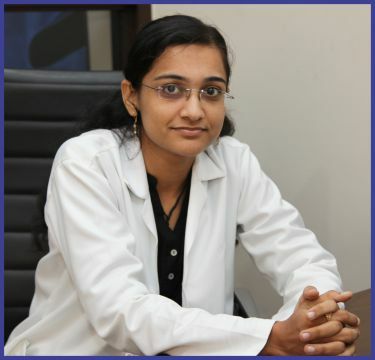 Dr. Tasmaishree has completed her Bachelor of Dental Sciences (BDS) from narsinhbhai patel dental college and hospital, visnagar under north gujarat university. Completed implant course from Ahmedabad with the surgical and prosthetic aspects for the implant placement and prosthetic rehabilitation. Completed smile designing course from Ahmedabad for complete smile make over and esthetic corrections. Skilled in all kind of composite restorative procedures and build ups. Skilled in all general dentistry procedures involving preventive, restorative and cosmetic dentistry.